I was reading the book "Practical Perforce" by Laura Wingerd and was plesantly surprised when I read about the undocumented commands in Perforce! Yes, there are a whole lot of undocumented commands that you can use to do lot of smart operations. But the drawback is some of them are deprecated and all of them are unsupported. So use them at your own risk. p4 changes "//depot/...@>1234" -- Will list all the changelists done after 1234. The same syntax can be used with dates as well. The quotes around the filespec is needed. Will try out some of these undoc stuff and document it here! If you use P4Win as the Perforce client, then here is one keyboard shortcut that you will love. Copy a file path (depot path or client path) and paste it (ctrl + v) on the P4Win window and P4Win will take you directly to that file. The stage is ready for the next edition of Proto.in (FE 2008), a premier event to showcase tech startups. 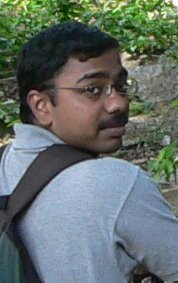 The first edition for 2008 is on 18th and 19th Jan, 2008 in Chennai. I got to attend the previous edition of Proto, which was how I got introduced to the world of tech startups in India. This time around about 20 companies are expected to demo their work. As of this writing, both product nominations and participant registrations are open. Visit the Proto site for more details.